I promised a follow up recipe offering an incredibly tasty side-dish to the Carne Guisada recipe (http://wp.me/p3hWct-iy). 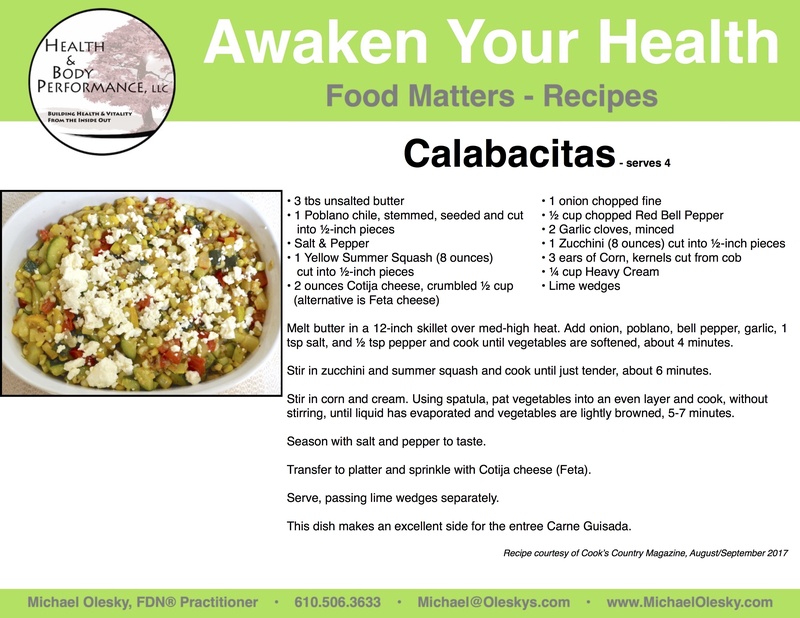 Here it is; Calabacitas, a relative to the traditional succotash. If you have handy knife skills, you can potentially have this dish ready, from scratch in 30 minutes. It really is that simple. While so many people get into a rut of only eating from the same small limited list of foods, this recipe includes a wide assortment of nutrient dense ingredients readily available from your local farmers market. It doesn’t get much better than to hit the market, purchase, local, freshly picked, healthy food and then have it ready for eating a few hours later.